The ability to save money is the cornerstone of building wealth. It's also essential for one's sense of security. The math is simple: in order to save money, you need to spend less than you earn. However, this is often easier said than done, especially when you have to give up or forego things you want. But, if you are mindful, there are plenty of ways you begin saving money whatever your age or income level. The first and probably most important savings goal you need to consider is building up an emergency fund. You can't always predict what life has in store for you. A financial emergency may take the form of a job loss, significant medical or dental expense, unexpected home or auto repairs or something unthinkable, such as one of the country's recent super-storms. The last thing you want to do is rely on credit cards with their hefty interest fees or be forced to take out a loan. That's where your emergency fund can come in handy. Historically, the formula for an emergency account is enough readily available cash to cover three to six months of living expenses. But, the figure you settle on may be smaller to start, say $1,000. You can then work your way up from there. And, when calculating your expenditures, be sure to consider both fixed and variable expenses so you know exactly how much to set aside for emergency savings. Once you've decided to save some money, the next question you need to ask yourself is where you should keep it. From depositing a set amount of money into a basic savings accounts at your local bank to certificates of deposit (which can have a duration of anywhere from three months to five years) you need to weigh all your available options to find out what's right for you. Remember to consider the amount of interest you can earn on your savings, as well as how accessible the money will be. 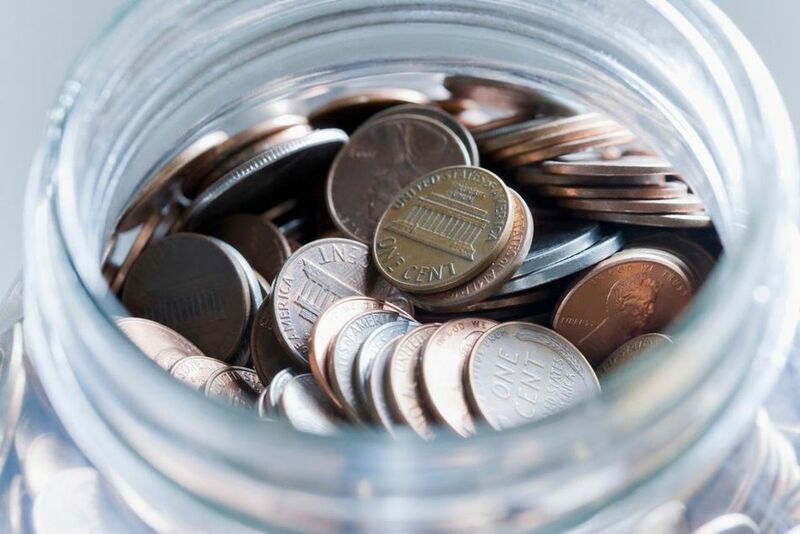 You may earn a higher annual percentage yield with a CD account but a savings account or money market account could offer more flexibility when it comes to making withdrawals. If you can't make a big leap all at once, start small. Even saving $25 or $50 each payday can make a difference. And if you're working on growing your retirement savings alongside your emergency savings, consider scheduling automatic transfers to an Individual Retirement Account as well. When you're saving money, one of the key things you need to consider is how much money your money is earning for you. You worked hard for your money, so now your money needs to work hard for you. Two of the most common terms that are used to discuss interest rates are annual percentage rate (APR) and annual percentage yield (APR), and as a smart saver, you need to know the difference between the two. APR refers to the rates you pay on loans, while APY is the rate you earn on deposit accounts. Even if you're saving money, you can always find ways to save more and cut your spending. Sometimes it is simply the little things that add up and the best way to gauge that is to question all of your purchases. Most people are mindless (not mindful) consumers. For instance, you may be used to getting a $7 latte every morning on your way to work but do you really need that $7 latte? A good rule of thumb is that if it's not a necessity (like food, shelter, and clothing) and it's not making you any happier or helping you, cut it from your budget. Find out what your spending leaks are and learn how to trim those expenses so you can save even more money.